Have you noticed that all the hot takes about the supposed need for more gun control have something in common? Whether it’s a call to limit gun ownership to two firearms or a desire to ban firearms completely, America’s anti-gun pundits have no shortage of different “solutions” they’d like to see turned into laws. But not many of them seem particularly eager to talk about what it would take to actually enforce those laws, or maybe they haven’t even considered that aspect of legislation. 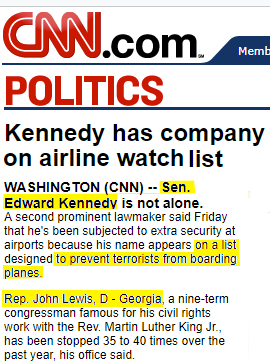 All we have to do is a pass a law, apparently. Enforcement is optional. In the real world, of course, it doesn’t work that way. Now, even some gun control advocates are having to reluctantly accept the fact that passing a gun control law doesn’t automatically lead to less crime. Recently, anti-gun researcher Garen Wintemute took a look at “universal” background check laws in Washington, Colorado and Delaware. All three states passed similar laws in 2013, and Wintemute wanted to see if the laws had led to an increase in the number of background checks. As it turns out, the answer was “no,” at least for Washington and Colorado. Universal background check laws clearly don’t lead to universal background checks for every transfer of a firearm. Gun owners know this, and we’ve tried to point this out to anti-gun activists on many occasions, but they needed to see the science. Now they have. The purpose of this communication is to assist Federal Firearms Licensees (FFL) who facilitate the transfer of firearms between unlicensed individuals. On January 16, 2013, the Bureau of Alcohol, Tobacco, Firearms and Explosives (ATF) issued an open letter to all FFLs regarding the transfer of firearms between unlicensed individuals. 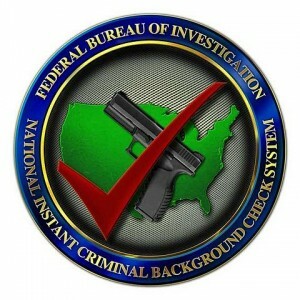 The letter provides guidance with respect to private sale transfers facilitated by FFLs as unlicensed individuals do not have the ability to use the National Instant Criminal background Check System (NICS) to conduct a background check on a prospective transferee. In addition, several states have state laws which prohibit the transfer of firearms between individuals unless a NICS background check is completed. To obtain a copy of the open letter or obtain more information regarding the transfer of firearms between unlicensed individuals, please copy and paste the link provided into your browser https://www.atf.gov/file/56331/download or visit the ATF Web site at www.atf.gov. With the possibility of increased transfers involving private sale transactions, the NICS Section would like to provide information regarding the use of the NICS during private sale transfer scenarios. The NICS Section will make the option for the transfer of a private sale firearm available to all FFLs not just FFLs having a state law requiring such. This capability will be available to all FFLs on September 16, 2015. The FFLs may not be required by state law to process private sale transfers; however if you choose to engage in private sale transfers, please note it will be the responsibility of the FFL to specify the transfer as being connected to a private sale. Below is important information for you to know when conducting a NICS background check for the transfer of a private sale. If you are conducting a NICS background check for the transfer of a private sale firearm via the contracted call centers, when asked by the call center agent, please identify the “type of transaction” as a private sale. If you have any questions regarding the information provided, please contact the NICS Business Unit at NICSLiaison@ic.fbi.gov. Thank you!